Occupation soldiers raided on Wednesday Silwan Boys Secondary School and stormed into classrooms during the second period. Wadi Hilweh Information Center was informed that occupation forces raided Silwan Boys Secondary School and searched classrooms claiming that one student threw stones towards them before entering the school; they detained the 9th grade student Malek Issa Abbasi (14). Witnesses explained to WHIC that the forces took the student outside the school but the school’s surveillance cameras revealed falsified the occupation’s claim as the student arrived to school before the time when they claimed stones were thrown.One of the soldiers filmed the students while storming into classrooms and also filmed the building and school’s corridors. Secretary of the Central Committee of students’ parents in Silwan, Isam Abbasi, denounced targeting the schools of Ras Al-Amoud as the forces are stationed around them on a daily basis and continuously attempt to storm into schools which obstructs the educational process and deprives the students from having a calm school day. Abbasi explained that the soldiers raided the classrooms in Silwan Secondary School under false pretenses only to terrify students; he pointed out that the school has nearly 550 students from 7th-9th grade. Abbasi appealed for the Ministry of Education and municipality to interfere and prevent the police from daily presence in the Schools’ Street and prevent them from storming into school which has negative consequences on the psyche of students. He noted that this school was raided several times and one student was previously arrested from inside the school not to mention the constant targeting of schools with sound grenades and tear-gas canisters. Israeli forces detained at least six Palestinians in and near the southern occupied West Bank city of Hebron on Saturday, including two young boys who were released after several hours. Israeli forces detained two children -- identified as Bakr Mahmoud Ali Najajreh, 13, and Abeer Youssef Makhamreh, 10 -- around noon on Saturday while they were herding sheep in the Janba area near Yatta. The two boys were released on Saturday evening after the Palestinian military liaison interceded on their behalf. 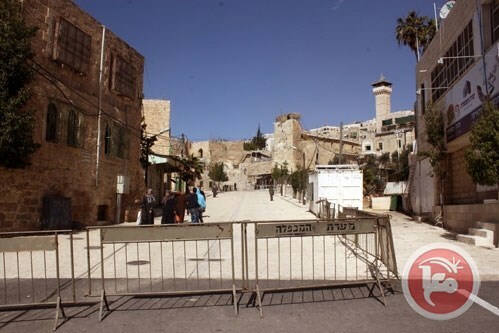 Meanwhile, locals told Ma'an that Israeli soldiers detained Rami Izzat Qindahi, 19, from Ramallah at a military checkpoint near the Ibrahimi mosque in Hebron, after Israeli forces claimed he was in possession of a knife. 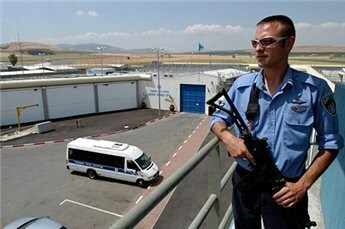 Qindahi was then transferred to the Israeli intelligence services for interrogation. Local sources also told Ma’an that three other Palestinians were detained in the al-Jabari neighborhood of Hebron for allegedly being in possession of a gun. They were reportedly taken to Kiryat Arba police station for interrogation. Israeli security forces didn’t have immediate information on any of the cases. According to prisoners' rights organization Addameer, 7,000 Palestinians were detained by Israel as of February, including 406 minors. More than 180 Palestinians have been killed by Israeli forces and settlers since October. Israel says the majority were shot dead while attempting to carry out attacks, although international rights groups have disputed Israel's version of events in several cases. The attacks that have taken place -- mostly by politically unaffiliated Palestinian individuals armed only with knives -- have killed nearly 30 Israelis. UN Secretary-General Ban Ki-moon said last month it was "human nature" for Palestinians to react violently to Israel's nearly 50-year military occupation, as he urged a change in Israeli policy in the occupied Palestinian territory. 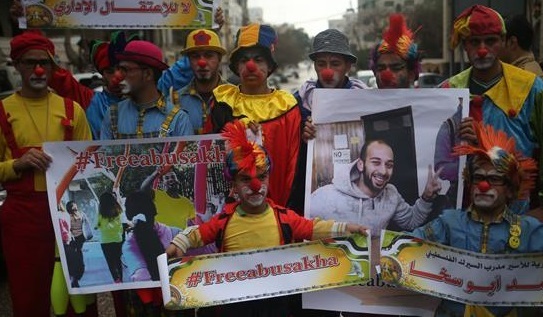 A number of human rights organizations have called for public support to press the Israeli regime to release a Palestinian circus artist held under administrative detention. The UK-based Amnesty International and a number of Palestinian cultural institutions made the plea on Saturday for Mohammed Abu Sakha, who was arrested by Israeli troops in the occupied West Bank last December. Abu Sakha heads the Palestinian Circus School’s program teaching circus arts to children with mental disabilities. Since January 11, the artist has been under administrative detention, which is a sort of imprisonment without trial or charge that allows Israel to incarcerate Palestinians for up to six months. Tel Aviv accuses Abu Sakha of “renewed activity” with the Popular Front for the Liberation of Palestine (PFLP), a left-leaning Palestinian faction regarded as a terrorist organization by Israel. The regime justifies the arbitrary detention of the artist and claims that alleged evidence against him is classified. The Palestinian Performing Arts Network (PPAN), which includes a dozen cultural organizations in the occupied Palestinian territories, said it was “deeply concerned” about the case of Abu Sakha. In a message posted online, the prisoner’s mother said her son “has transformed the prison into a small circus and does performances to entertain his fellow prisoners,” some of whom are children of 12 or 13 years of age. Over 500 detainees are under administrative detention, which can be renewed for an indefinite time without any legal process. According to the Israeli human rights organization B’Tselem, arbitrary detention should be exercised only in very exceptional cases, but Israeli officials routinely employ the practice against thousands of Palestinians. Palestinian detainees have continuously resorted to open-ended hunger strikes in an attempt to expresses their outrage at the illegal and unfair administrative detention and to demand an end to the policy. Last year, the Israeli regime passed a controversial bill allowing the force-feeding of hunger-striking prisoners to counter the Palestinian hunger-strikers’ protest. 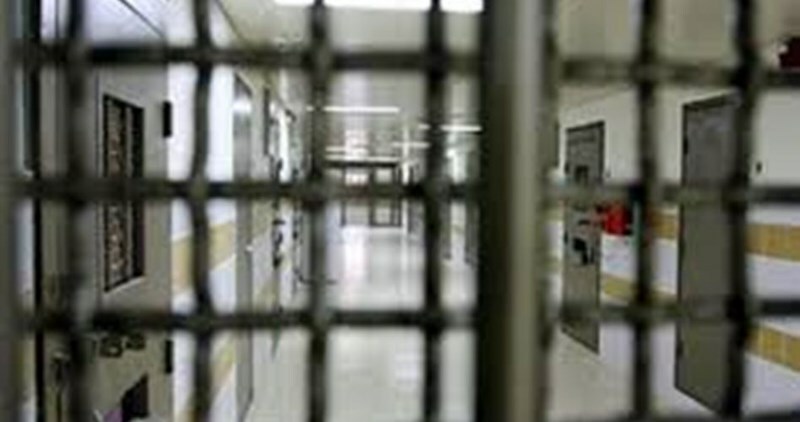 Two Palestinians held in Israel’s Ktziot prison in the Negev continued hunger strikes on Saturday against their administrative detention by Israel. A lawyer for the Palestinian Committee for Prisoners’ Affairs, Fadi Ubeidat, said 26-year-old Mahmoud Muhammad Hasan al-Fasfous began a strike on Feb. 20, after his detention was renewed without trial for the third six-month period in a row. Al-Fasfous told Ubeidat on Friday that Israeli intelligence decided to keep him in custody despite a court decision against extension of his remand. Speaking of his health condition after two weeks on hunger strike, al-Fasfous said he had already lost six kilograms and was suffering from a nose fracture and vision problems after he was physically assaulted by employees of Israel’s prison services. 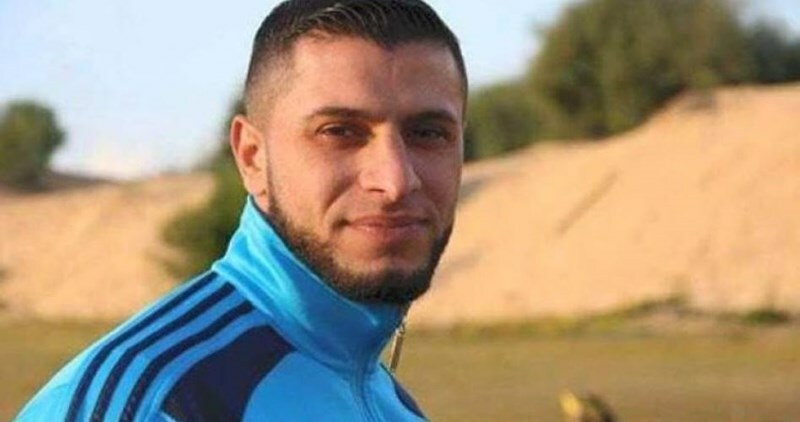 Ubeidat told Ma’an that Dawood Haboub from al-Amari refugee camp, also held in Ktziot, announced a strike on March 1 protesting his administrative detention. According to prisoners' rights organization Addameer, at least 670 Palestinians are currently held under administrative detention by Israel, a policy international community has repeatedly said is in contravention to international law. The family of Palestinian prisoner Yazan Hanani has held the Israeli occupation authority fully responsible for his life, affirming that he has been on hunger strike for 18 days. Hanafi Hanani, the brother of the prisoner, said that his brother went on hunger strike in protest at his detention administratively without any guilt. Hanani told Quds Press that the administration of the Negev jail gave his brother until next Monday to end his hunger strike or else he would be transferred to solitary confinement. He said that his brother refuses to end his hunger strike without ending his administrative detention. He added that Israeli soldiers kidnapped his 22-year-old brother, Yazan, during a violent raid on the house of the family in Beit Furik in Nablus on October 28, according to Hanani. The Palestinian Prisoner Center for Studies (PPCS) has held the Israeli occupation authority (IOA) fully responsible for the life of prisoner Fadi Abul-Huda, from Nablus city, after he was taken to an unknown place. The PPCS also demanded the IOA to immediately reveal the fate and whereabouts of prisoner Abul-Huda. Spokesman for the center Riyadh al-Ashqar said the administration of Eshel jail transferred Abul-Huda to an undeclared destination after he beat a prison officer during a heated argument with him. Ashqar noted that the incident happened after the officer insisted on his refusal to allow the prisoner to see his family. Consequently, an atmosphere of tension prevailed in all sections of the prison, especially in section 11 where the prisoner had been held, according to the spokesman. The prison administration, in its turn, decided to punish the prisoners in section 11 by depriving them of spending their leisure time in the prison yard and confiscated electrical appliances from their rooms. Ashqar pointed out that prisoner Abul-Huda is a noted official of the Popular Front for the Liberation of Palestine (PFLP) and was arrested on March 2, 2014 after he stabbed a Jewish settler near al-Za'iem village, east of Jerusalem, in retaliation to the killing of a Palestinian young man by Israeli soldiers. For its part, the family of the prisoner expressed its deep concern over his fate, affirming that he is prevented from seeing his relatives under security pretexts and is punished regularly by the jailers. The Israeli Salem military court extended the detention of the injured prisoner Mohamed Zakarneh, 19, from Qabatia town in Jenin, for the second time in a row. Quds Press quoted family sources as affirming that Israeli authorities extended Zakarneh’s detention for eight days for the second time, pointing out that he is currently held in Afula hospital as he was earlier shot and injured by Israeli gunfire. Zakarneh was arrested in February 2016 from his home in Qabatia town. He suffers gunshot injuries in his left leg during clashes that broke out in the town. He was accused of being involved in anti-occupation protests in the town. The family called on international human rights institutions to immediately intervene and to provide him with the appropriate medical treatment. An Israeli court has turned down an appeal by administrative detainee Bilal al-Tamimi for his release at the end of his current term in prison, the Palestine prisoners center for studies said. The center said in a statement on Friday that the court justified its decision by claiming that Tamimi, who hails from al-Khalil, poses danger on Israel’s security. The statement recalled that Tamimi was arrested in July 2014 and was since then held in administrative detention, without trial or charge. He served 20 months so far in renewed detention orders, each time for six months. The last such renewal was in January 2016. The center said that the appeal tabled on behalf of the detainee asked for a ruling that would end renewal of his administrative detention. It pointed out that Tamimi, a father of a child, is held in the Negev desert prison. He suffers from arthritis, the pains of which double with the advent of winter. The Israeli occupation forces (IOF) on Thursday evening kidnapped the Palestinian soccer player, Fadi al-Sharif, at Beit Hanoun (Erez) crossing, north of the Gaza Strip. Sharif was taken prisoner on his way back from Occupied Jerusalem to Gaza after he underwent surgery in al-Makassed hospital. He had suffered a ligament injury during a league match in Gaza. The family of the player appealed to the Palestinian football association to swiftly intervene with the FIFA to have its son released. Sharif is one of the most prominent defenders for the Helal team in Gaza. 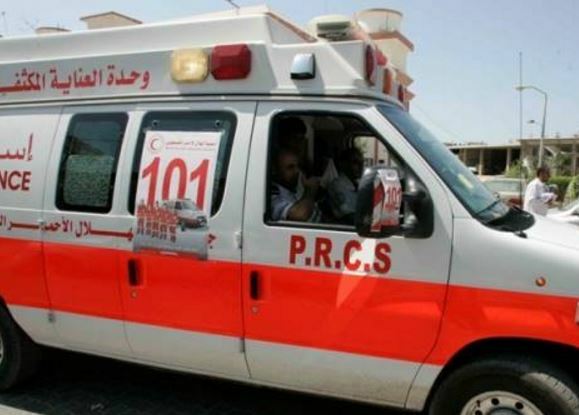 Palestinian medical sources have reported, Friday, that two medics of the Palestinian Red Crescent Society suffered the effects of tear gas inhalation, after Israeli soldiers fired a gas bomb into their ambulance, at the northern entrance of Bethlehem city. 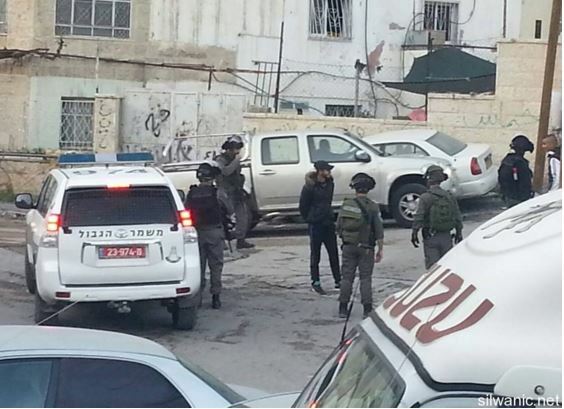 One Palestinian was kidnapped in Husan. Mohammad Awad, head of the Emergency Unit of the Red Crescent, said the soldiers deliberately fired gas bombs at the ambulance, near Bilal Bin Rabah Mosque, as the medics were trying to provide medical aid to wounded Palestinians. Awad added that one of the gas bombs struck the windshield of an ambulance, causing two medics, identified as Ayman Da’absa and Fadi Ja’afra, to suffer severe effects of tear gas inhalation. 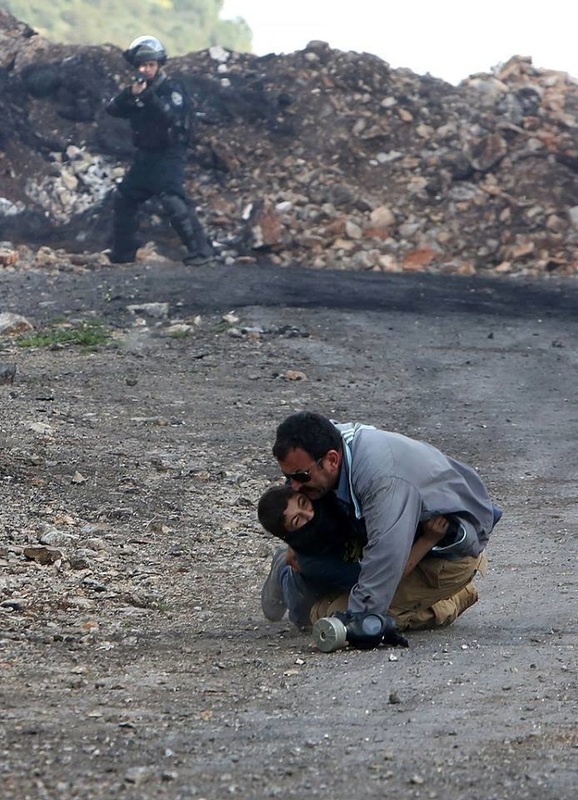 He also said that many Palestinians suffered the effects of tear gas inhalation, and received the needed treatment. In related news, the soldiers invaded Husan town, west of Bethlehem, and kidnapped Safwan Yousef Hamamra, 21, while standing in front of their home in the al-Mateena area, in the center of the village. The soldiers also harassed and assaulted many residents, and interrogated them while inspecting their ID cards. Dozens of Israeli soldiers surrounded, on Thursday, the towns of al-‘Eesawiyya and Silwan, in occupied Jerusalem, and invaded them before firing many gas bombs, and rubber-coated steel bullets. The soldiers also broke into many homes and stores. 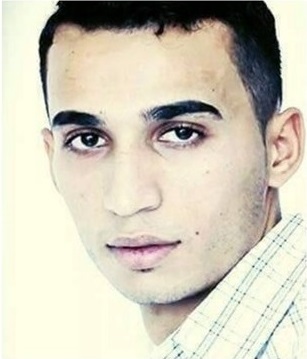 Mohammad Abu al-Hummus, a member of the Follow-Up Committee in Silwan, said dozens of soldiers surrounded the town, approximately at three in the afternoon, and prevented the Palestinians from entering or leaving it, in addition to searching dozens of cars and interrogated many Palestinians while inspecting their ID cards. Abu al-Hummus added that many armored military vehicles also invaded the town, before the soldiers stormed and searched many homes, and residential building, and occupied many rooftops. He also said clashes took place in the town, after many local youths hurled stones, empty bottles and Molotov cocktails on the invading vehicles, causing an army jeep to partially burn while the army fired several rounds of live ammunition. The soldiers also invaded the al-‘Eesawiyya town, and kidnapped two young men from their homes, after searching them. The two have been identified as Younis ‘Oleyyan and Ali Mheisin. The soldiers, and personnel of the City Council in additional to the Natural Reserve Authority, invaded Palestinian lands that have been recently bulldozed and uprooted, in addition to buildings that were previously demolished, and took pictures of them, in addition to confiscating a tent. In Silwan town, south of the Al-Aqsa Mosque in Jerusalem, the soldiers invaded several neighborhoods and removed posters and Palestinian flags that were placed to welcome a political prisoner after his release. The soldiers also attacked many young men and children in the town and forced them out of the area. 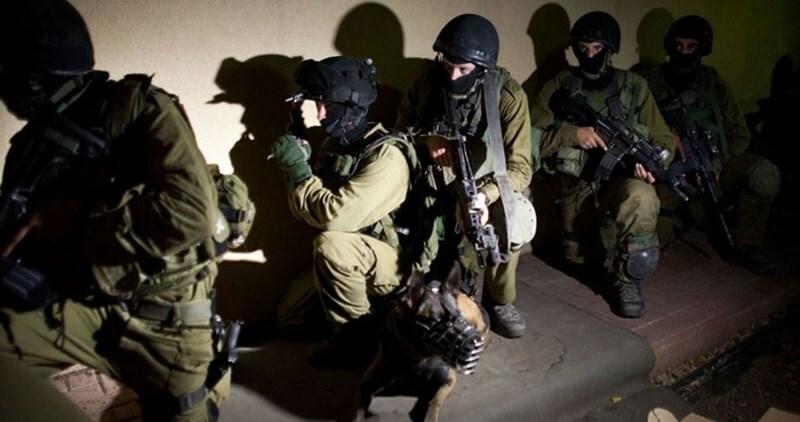 On Thursday evening, the soldiers invaded Be’er Ayyoub and Ein al-Louza neighborhoods in Silwan, and searched many homes and alleys, allegedly looking for youths who hurled stones on them. The soldiers also invaded stores and shops, and ordered the owners to present their licenses and permits, and threatened to impose very high fines on merchants who have any missing documents. Palestinian ex-detainee Naim al-Shawamreh, who had spent 20 years in detention, suffered serious health problems during his presence in Israeli jails, his family affirmed. 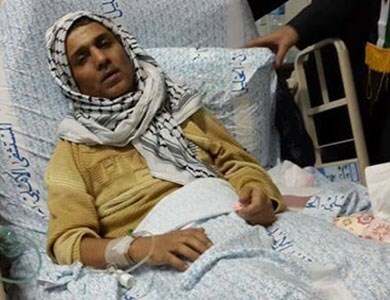 Shawamreh started to suffer from permanent muscle atrophy in Israeli jails and has become unable to move or speak, the son of the ex-detainee, Munjed, told Quds Press. He said that the policy of medical neglect and silent killing pursued by Israel against the Palestinian prisoners in its jails led his father and others to be on the brink of death. Ex-detainee Shawamreh was released among several other prisoners following understandings between the Palestinian Authority and Israel in 2013. 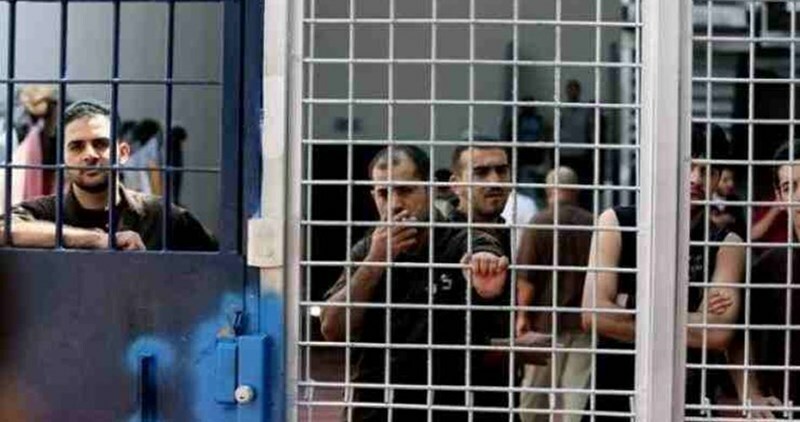 According to a recent Palestinian human rights report, 22 Palestinian prisoners suffering from chronic health problems receive inadequate medical care in the infirmary of the Israeli Ramla jail. 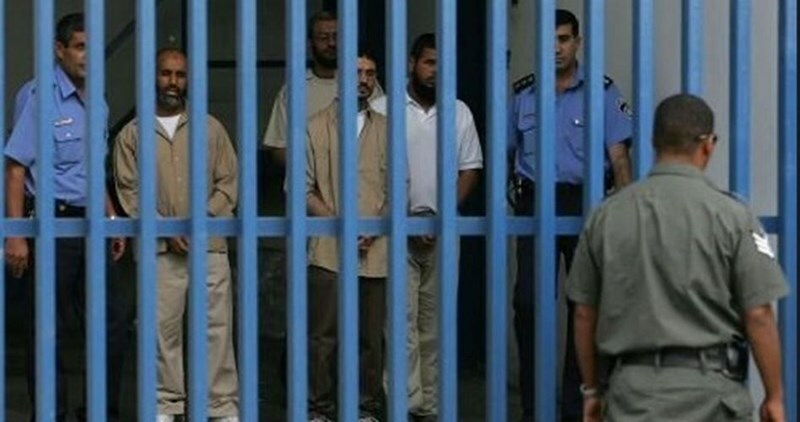 About 750 prisoners are also referred to Israeli prison infirmaries regularly as a result of their suffering from different health problems. The Israeli Occupation Forces (IOF) arrested at dawn Friday three Palestinians in the West Bank. The three detainees were taken to unknown investigation centers.